Fresh blueberries and lime create the perfect base to this Blueberry Crumble. I must admit though, it’s that thick layer of crunchy sugar and oats that keeps me lifting my fork repeatedly. I served ours with homemade whipped cream, but of course ice cream is perfectly acceptable too! I realized after making this dessert that I haven’t yet shared the inspiration for this treat. I have an apple crumble recipe that is out of this world delicious! I thought for sure the recipe was already up on the blog (from my early years), but apparently I was mistaken. Don’t worry, that recipe will be coming later this summer! Can you wait that long? 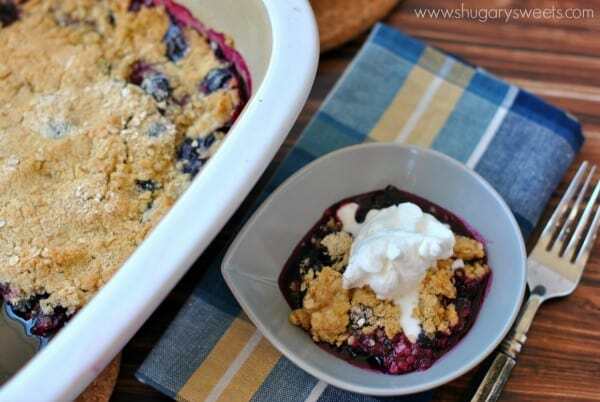 In the meantime, soak in summer with this fresh Blueberry Crumble recipe. I paired the fresh blueberries with some lime, and I’m so glad I did! The citrus just pops without being overpowering. And of course, what’s a crumble without the thick crumb layer. I’ve got ya covered with this bad boy! The crunchy layer is totally proportionate to the blueberry layer. If you like them to be even, that is. As for the topping, well, of course you could go with ice cream. That’s what I usually choose when eating an apple crumble. But if you want something different, I seriously suggest you give the homemade whipped cream a try. It’s easy to make, you can have it whipped up and ready in the fridge. And it’s light enough that it won’t overpower your tender berries. Unlike apples which can dominate a dish, you want the blueberry lime flavor to shine. 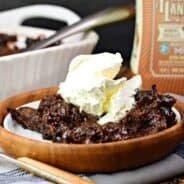 The whipped cream just adds a sweet enough touch to give this dish a creamy texture! I’m normally the candy contributor over on Food Fanatic, but today they’re letting me share a summer favorite! Go check out this Blueberry Lime Crumble. Berry crisps just scream summertime!! Love this one & pinned! I agree completely! Thanks for pinning Averie! Fruit crisps, cobblers and pies are my favorite summer desserts! I love the blueberry-lime combination here — sounds delicious! Fruit crumbles are my favorite!! I am the same way, that crunch would make every bite pure heaven. Love this! Ooh, this is nice! Just made it with a package of blueberries that had to be used up today. Delightful! I like my crisps and crumbles with EXTRA crumble and this fits the bill beautifully! Yum! I just looked at 5# of frozen blueberries in my freezer and said, “Pie or a crisp?? ?” Thanks, Amy! You’re quite welcome! ENJOY Nan! I love all the crumble! And I bet that pop of lime is delicious! I love a good crumble and this recipe looks absolutely wonderful! I’m a big fan of lime! 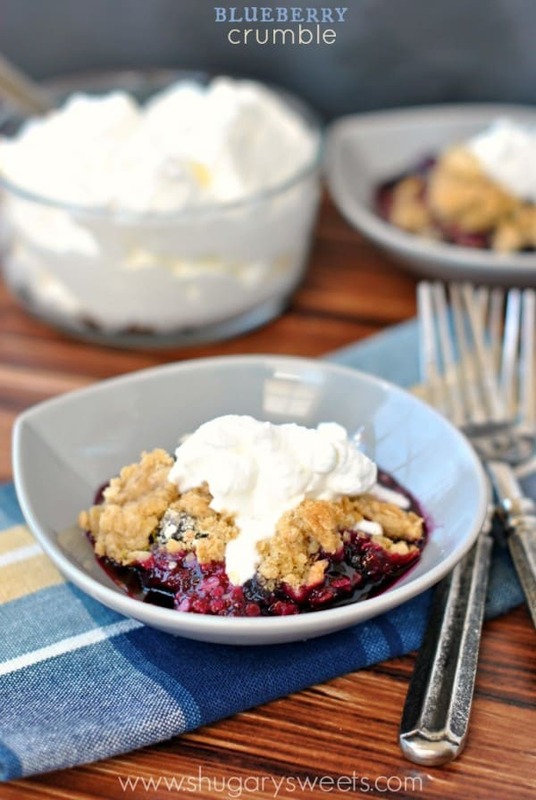 I LOVE any kind of crumble and the homemade whipped cream is a MUST! Anything with lime and I am totally sold! Add the crust, and wow. I could eat crumbly crust all day for every meal. No problem! This treat is the definition of summer! In love! 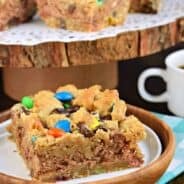 I love summer crumbles! Great idea to pair blueberries with lime! You had me at thick crumb. Oh my, this looks amazing! Is there any other kind? hehe!! 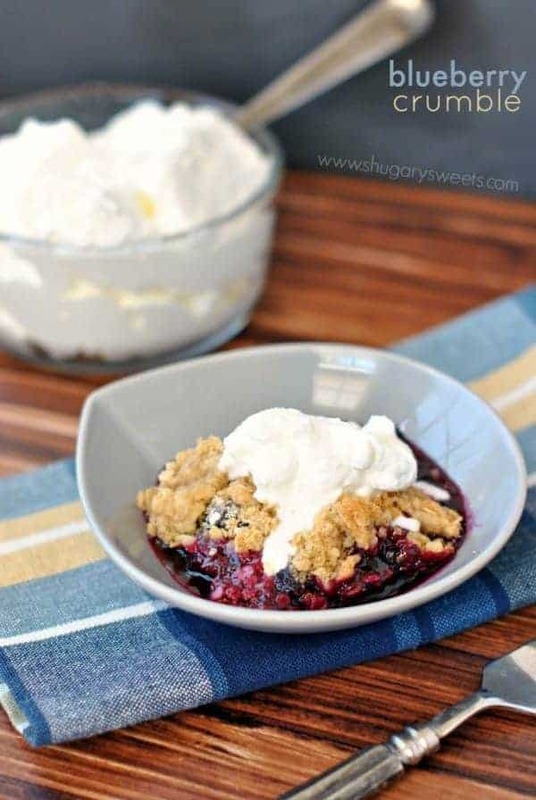 Love this blueberry lime crumble! The lime is so unexpected and who can resist a thick crumbly topping, not me! Homemade whipped cream or ice cream on top, yes please! Thanks Danae, the lime really does give it a fresh twist of flavor! Just looking at this crumble, my mouth is watering!! Loved this. Not too sweet, tricked myself into thinking it was healthy, as I ate another bowl. Next time, I’m doubling the recipe. Thank you.